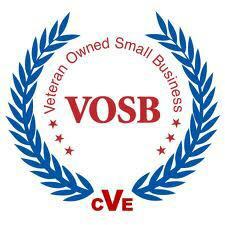 As of November 27, 2013 Digital Technologies in Archaeological Consulting LLC is a certified Veteran-Owned Small Business (VOSB). What the heck does that mean, how do you get certified if you're a veteran and a business owner, and what will it mean for DIGTECH? Read on for stimulating answers. To be counted as a VOSB a company has to meet two primary requirements: it has to be small, and, it has to be at least 51 percent owned by a veteran or veterans. Whether you count as a small business depends on the NAICS codes (North American Industry Classification System) you associate with your business. The ones DIGTECH uses — 541620, 541690, and 541720 — puts the small business threshold for my company at $14,000,000 a year. That means I'm counted as a small business if I do less than $14,000,000 a year in business. To me, that's a bit absurd. It makes nearly every CRM firm that is not a massive engineering company, or a huge environmental firm, a small business. So much for competition. The business also has to be 51 percent owned by veterans. If you're the only owner then that's easy. If you have a partnership and one of you isn't a veteran then you have a sticky situation. The veteran needs to have the controlling stake of at least 51%. If you have three or more people, it gets trickier. You can each have 33.3 percent, but, two of you had better be veterans. See how that works? If there are multiple owners, the total ownership of they're veterans needs to be at least 51 percent. A number of federal contracts come with a requirement to give a small percentage of the contract to VOSB and SDVOSB (same thing, but for service-disabled veterans) companies. For anyone familiar with losing federal jobs to veterans because they get extra points on the application, this should be familiar. This is the same thing, but for companies. Well, it’s a little different, but it’s the same concept. In short, do it. It can’t hurt, and in fact, can only help your company. Also, it lets clients know that you served your country. That’s something to be proud of, regardless of your political affiliation. First, go to the Veteran’s Information Pages website (www.vip.vetbiz.gov). For some reason I get a security warning on my Chrome browser every time I go there. It’s legit, though. Click on “Register” in the upper right-hand corner. Once you go through all the pages of information, you’ll have to upload a number of documents. Trust me when I say this. It’s a lot. If there is a document requirement that doesn’t apply to your business for some reason, you’ll have to upload a letter of explanation (LOE). I started this process back in September. Most of the documents required didn’t apply to my business since it’s knew and I haven’t done much business yet. So, I uploaded a lot of LOEs. After the first submission, you’ll eventually get an email from the VIP people telling you exactly what you did wrong and what they need clarification on. The people that look these over try to make sure that your package is perfect before they submit it for evaluation. It took me three or four rounds of writing and re-writing LOEs before my application was submitted. The guy that kept calling me was very patient, even when I wasn’t. Once the application was submitted it only took a couple weeks before I was “verified”. Now I can put the VOSB logo on my business cards, website, and capabilities statement. Keep in mind, this process is entirely free. Well, you have to serve your country for four plus years and give up your Constitutional rights for a while. Aside from that, it’s free! I hope this helps. Go get your certification and let me know if you did it in the comments. Are you a business owner that went through the process? Tell everyone about how it went for you in the comments. Newer Post#204 Fine or Permit?